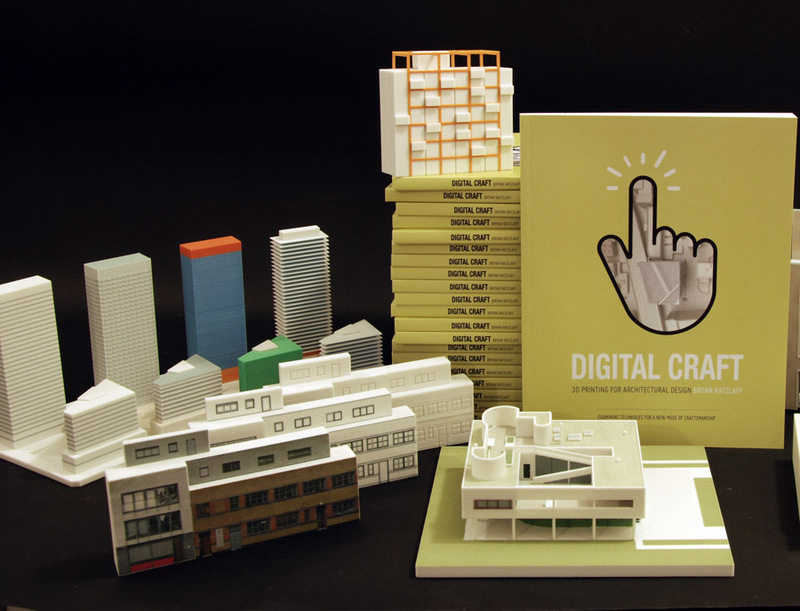 Digital Craft is the book we published to help architects get the most from 3D printing architectural models. Available from Amazon.co.uk or direct from Lee 3D. 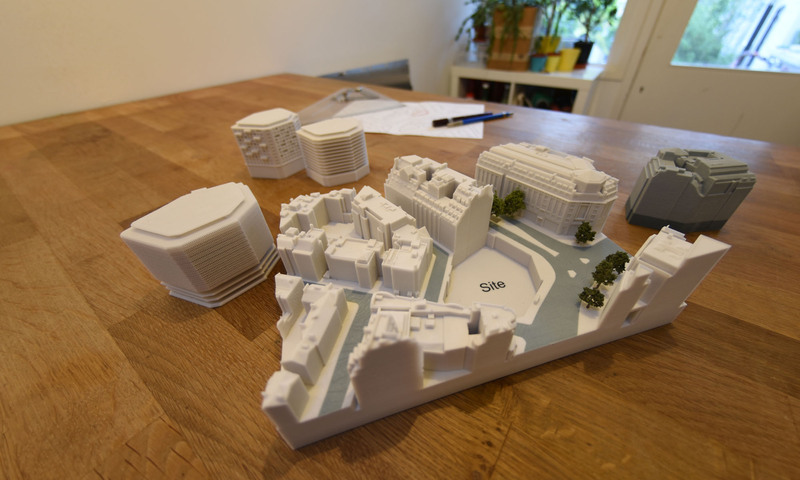 As a global centre for architectural practice, London has a thriving community engaged in 3D printing architectural models. Bryan Ratzlaff settled in London just as 3D printing was coming to the public’s attention. 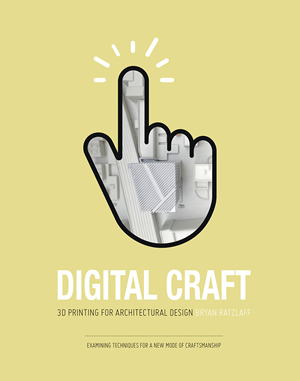 Five years in and immersed in both 3D printing and architecture, Bryan has written a book (Digital Craft) that will help architects and modelmakers make sense of and begin to master this rapidly evolving medium. 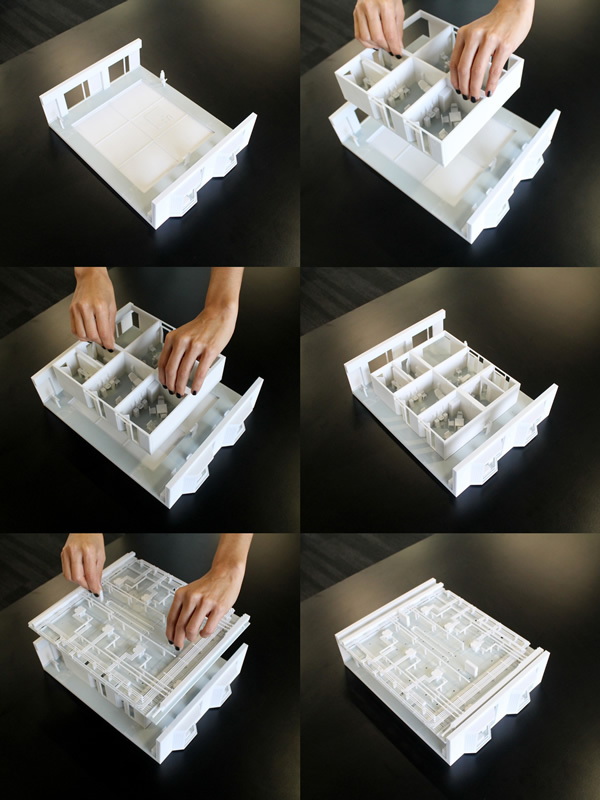 Digital Craft positions 3D printing in the tradition of architectural modelmaking. Examining the relationship between the architect, the model and the 3D printer. Combining convention with emerging stylistic forms, the book recognises and presents techniques for a new mode of craftsmanship. A digital craft that goes beyond the casual printout and aspires to the fully designed 3D printed object. The research was based on interviews with leading professionals and illustrated throughout with photographs of real projects. The resulting book is not founded on fanciful claims, but rather on solid industry experience. Digital Craft places responsibility for the look and style of the 3D printed model firmly in the realm of the architect. Bryan Ratzlaff is a Canadian architectural designer working in London with seven years’ experience in 3D printing architectural models. Bryan has a Master of Architecture degree from University of Westminster (RIBA Part II). One could suggest that the modelmaker operates as an editor of in­formation – drawings supplied by architects can contain far more infor­mation than is required to build a model. Modelmakers need to be able to read these drawings and take out the relevant features in order to build the model. While this ability to interpret drawings, combined with the need to effectively communicate with the architect constitute important skills to the profession, their primary proficiency lies in the command of their craftsmanship. The materials, tools, and technologies used in mod­elmaking have developed greatly over time. Models have been made from primitive materials such as wood and cardboard and engineered sheets of acrylic and Styrofoam. A modelmaker’s tool kit has gone from strictly hand held items to include a workshop worth of machinery. Most re­cently, there has been a surge of digital tools available for modelmaking, such as laser cutters and 3D printers. Although dismissed at first, as most new technologies are when introduced, modelmakers have now grasped these digital tools and utilised them as part of their skillset, enabling an improvement in the accuracy of models. These developments have undoubtedly had an effect on the appear­ance of models. Much like the buildings they represent, models are sus­ceptible to changes in style influenced by technology, material availability and cultural tastes in a determinant period. Within the lexicon of archi­tectural representation, style can be identified as a unified or continu­ous technique within a developing body of work. A style is created by a technique applied to a particular medium, used to produce a mode of representation. It is worth noting that, although the changes in tools and techniques can influence the style of a product, they cannot do so without the skills and vision of the person that operates them. In this sense, the maker becomes the most important element in the creation of style, whose personal intentions will direct the ways in which techniques are used to manifest their design. Within architectural representation for example, a digitally produced architectural rendering can have a number of different styles depending on how the artist utilises the tools available in a particular computer software. Artists, photographers, designers and architects utilise style to enable a body of work to be identifiable, cohesive and communicative. This per­sonal application of style occurs also within the realm of modelmaking and independent of the technique or materials used, style can be sub­jectively – or even unconsciously – curated into the model. Inevitably, models are imbued with its makers’ creative choices, and so are able to convey messages about the designers themselves: about their architectural identities and approach. Similarly to a drawing, models can translate the aspects that the architect wants to project, and by doing so they are able to display how the architect wants to be seen. While the development of a trademark style of architecture may be perceived as the greatest indicator of its creator’s identity, the style of ar­chitectural representation can also be used to express who the architect is. This was especially true in an era of handmade drawings, but even digital drawings of today possess marks of their creators – a diagram by Bjarke Ingles, a render by Luxigon or a 3D printed model by Foster + Partners can all arguably be identified by their stylistic qualities, rather than the architecture they represent. Please fill out the form below and we will respond as quickly as we can.